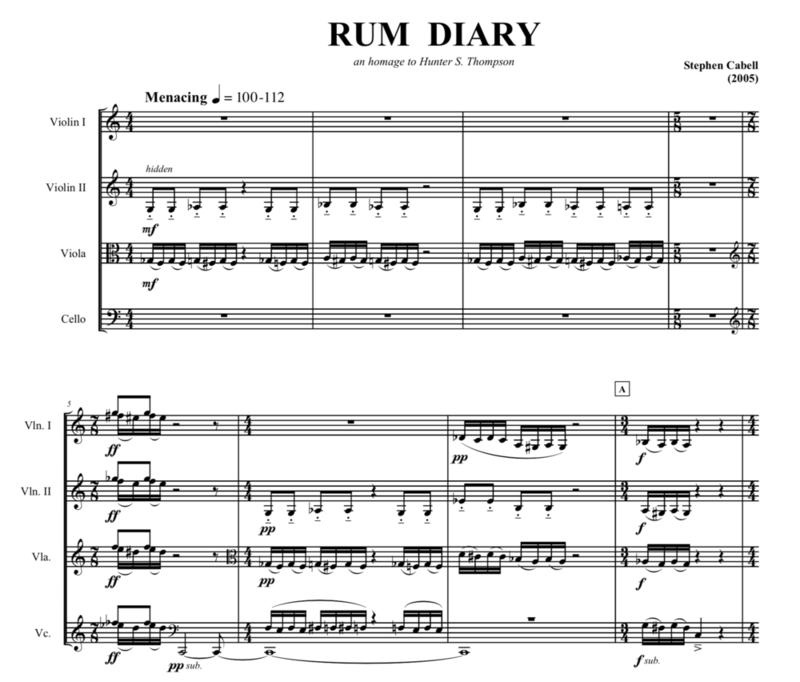 RUM DIARY was composed as an homage to the late Hunter S. Thompson. Also a Kentuckian and Southern gentleman at heart, I had always felt an affinity for his brash, honest, and wild writings. Thompson had a way with language that attracted me from my very first encounters with his work. He lived his life with reckless abandon in the pursuit of truth. This piece attempts to take Hunter Thompson’s cue and create intense musical expression, pushing the performers to the brink of playability. The title is borrowed from Thompson’s first novel of the same name. Though is not in any way programatic or connected to this first work, I believe it to be an apt expression of his life’s work.